My wife and I were shopping for a used car for some time and were getting very frustrated with some of the previous dealerships, we were tired of the hidden costs, pressure tactics or out right lies. That all ended at Saint John Toyota. The salesman we dealt with was Mark Duffley, he was very transparent and timely with his responses to our many questions. Everything ... was done in a timely manner and very professional. Mark delivered on everything he promised. We were from out of town and Mark and Kim worked very hard to make the whole process seem easy and quick. Thank you very much we would highly recommend dealing with Mark and Saint John Toyota. Not everyone loves car shopping! When it came time for me to purchase a new vehicle, Chris Coyle and the team at Saint John Toyota made it super easy for me! I was only at my point of “ just looking “ and wasn’t going to purchase that day but once I felt how helpful he was and how pressure free the environment was, I took home a new 2019 Corolla THAT SAME DAY!!!! I ... love LOVE love my new Corolla!!!! 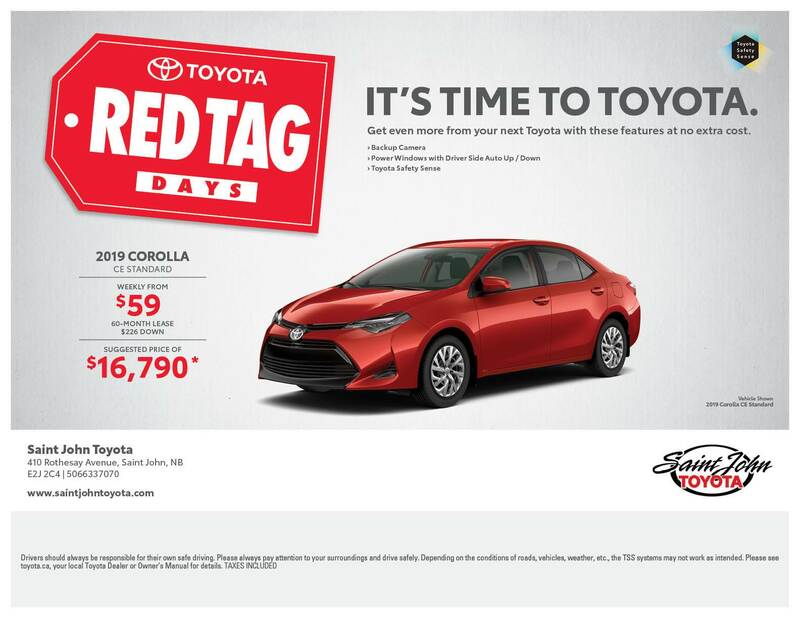 Saint John Toyota has been providing the comfortable and capable vehicles in the Toyota lineup to Saint John car shoppers for decades. Our inventory is stocked with all of the top models that make up the Toyota lineup. We carry efficient and practical cars like the Camry and Corolla along with versatile crossovers and SUVs like the RAV4 and Highlander and workhorse pickup trucks like the Tacoma and Tundra. 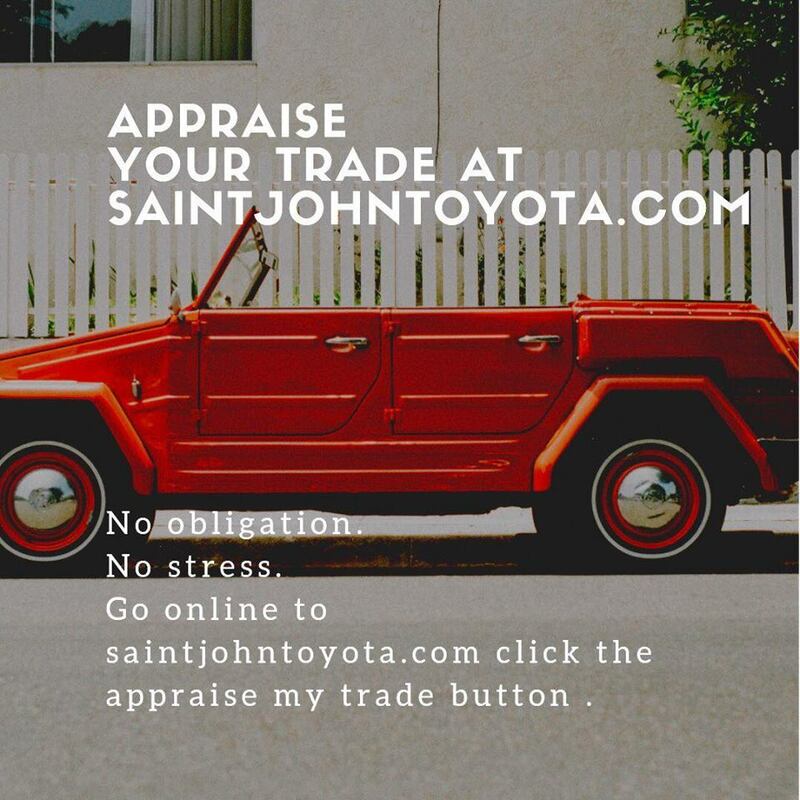 In addition to our inventory of new models, Saint John Toyota offers an impressive selection of pre-owned vehicles from Toyota and multiple other brands. Whether you are in the market for a new or used vehicle, our team will help you walk through all the options available at Saint John Toyota. Once you find the ideal vehicle for your needs as an owner and driver, our finance team can get you approved and behind the wheel at the best rate possible. After you take home your new or used Toyota vehicle from Saint John Toyota, our service center will help you keep it in the best condition possible. Our 15-bay service center can take care of everything from routine maintenance to more substantial repairs.